If you like to needle felt, have you tried your hand yet at making any fiber art pendants or other jewelry items? When I first started needle felting several years ago, I hadn't seen anything like this before and loved experimenting with new things. I went through a phase where I made dozens of funky looking fiber pendants (like in my collage above) and other jewelry items. That fascination has come around again for me as I found myself felting a little fiber art pendant again just last week. 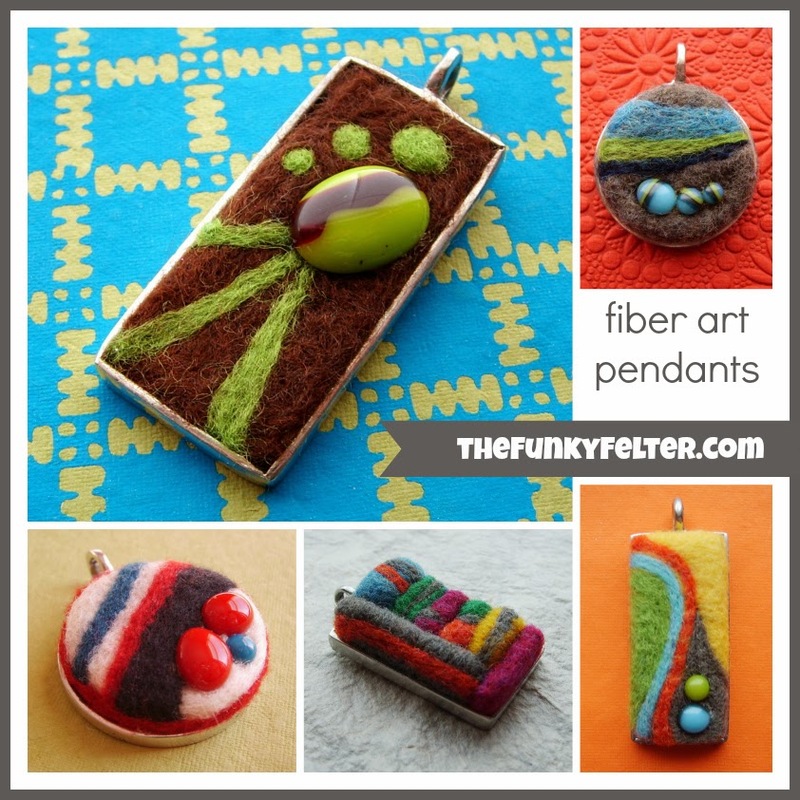 I thought I'd share some of my needle felted pendant creations for inspiration and a little fiber eye candy. Please share your own creations and thoughts on needle felted jewelry in the comments. I would love to know what you've experimented with or perhaps you have some questions of where to begin. Check out my flickr albums if you'd like to see more needle felt fiber pendants or other funky felted jewelry for inspiration.